The EU needs to reconsider its “political boycott” against Thailand, and work to build closer cooperation with that country instead, the Hungarian foreign minister told news agency MTI. 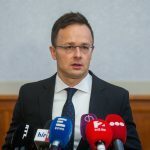 Péter Szijjártó said prior to a meeting of EU and ASEAN foreign ministers in Bangkok that such a boycott was an “illogical move, entirely against common sense”. The Hungarian Foreign Minister argued that there was a “race” between countries for cooperation with Thailand, “one of the most promising economies in the region”, and insisted that Europe’s excluding itself from that competition based on “misunderstood or quasi-arguments” was a “bad decision”. Szijjártó urged that talks on a free trade agreement between the EU and Thailand should be resumed and the partnership accord signed as soon as possible. Concerning bilateral economic ties, Szijjártó noted that trade turnover exceeded 500 million euros last year, and grew by another 3% from January to July. To further promote business cooperation, Hungary’s Eximbank has opened a 412 million dollar credit line, Szijjártó said, adding that Hungary is represented by two economic attachés in Bangkok. Ahead of a meeting, Szijjártó met Thai counterpart Don Pramudwinai, and leaders of businesses active in central Hungary. During his visit to Bangkok, Péter Szijjártó conveyed condolences on behalf of the Hungarian government over the death of Thai King Bhumibol Adulyadej, who passed away on Thursday. Szijjártó, who is attending a meeting of the foreign ministers of the European Union and the Association of Southeast Asian Nations (ASEAN), said the had just been notified of the king’s death while visiting the country’s capital. He said the Thai king had secured stability for Thailand and hopefully his succession would be seamless and stability in Thailand would be preserved in future. King Bhumibol died at the age of 88. Thailand has ordered a yearlong mourning over his death. The king’s son, the 64-year-old Maha Vajiralongkorn, will be crowned king, according to Thailand’s Prime Minister.